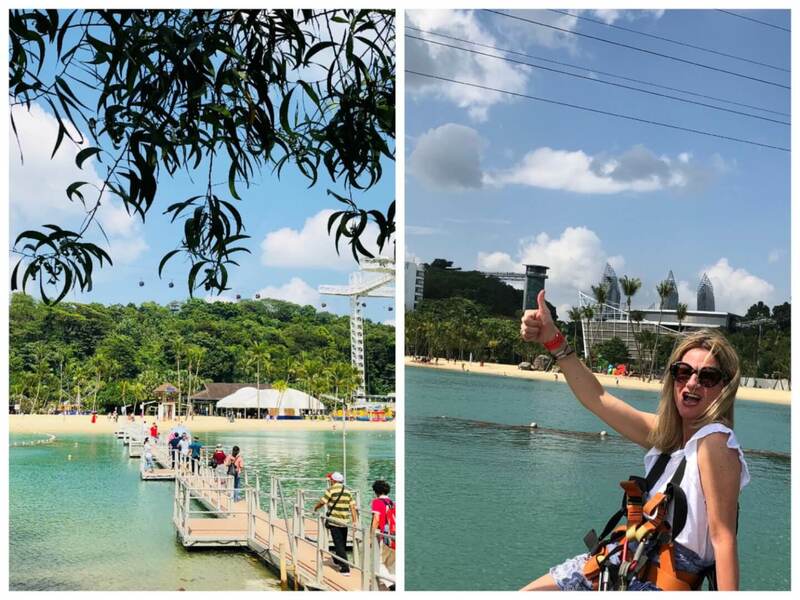 Singapore really is like a huge adventure playground with something for everyone. I remain perpetually amazed at the extensive attention to detail when it comes to their urban development. It is one of the world’s most liveable cities. The architecture is stunning. 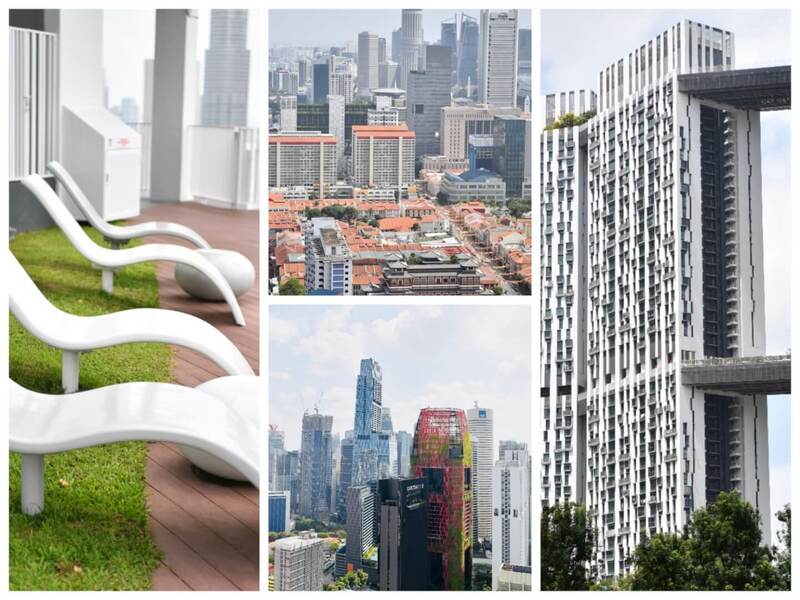 Whatever Singapore lacks in land mass, it certainly makes up for in ambition and innovation. 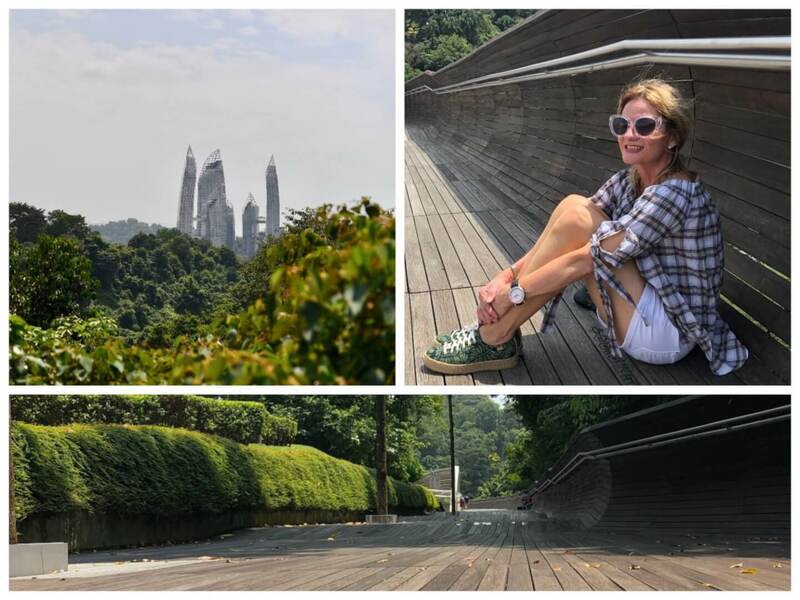 This visit I discovered some great local designers, went on the Sentosa Zip Line, (scary but fab), met an ex-lawyer self trained chef, discovered Singapore’s hiking trails, learnt about architecture in Singapore today and much more. 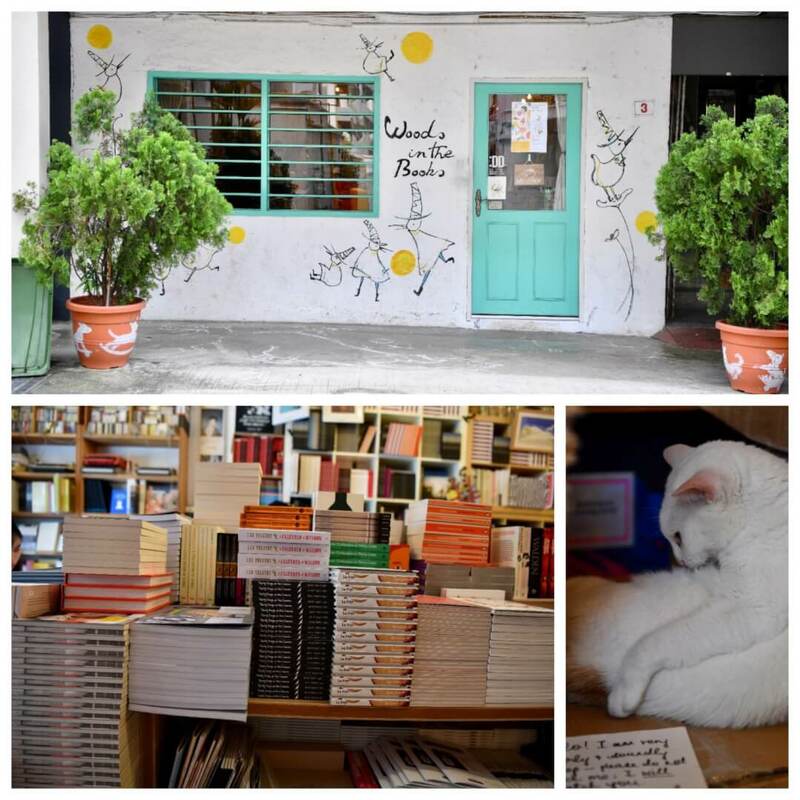 Tiong Bahru remains one of my favourite areas in Singapore. Love the art deco buildings, quaint shops and cafes. Here are 3 of my favourites. 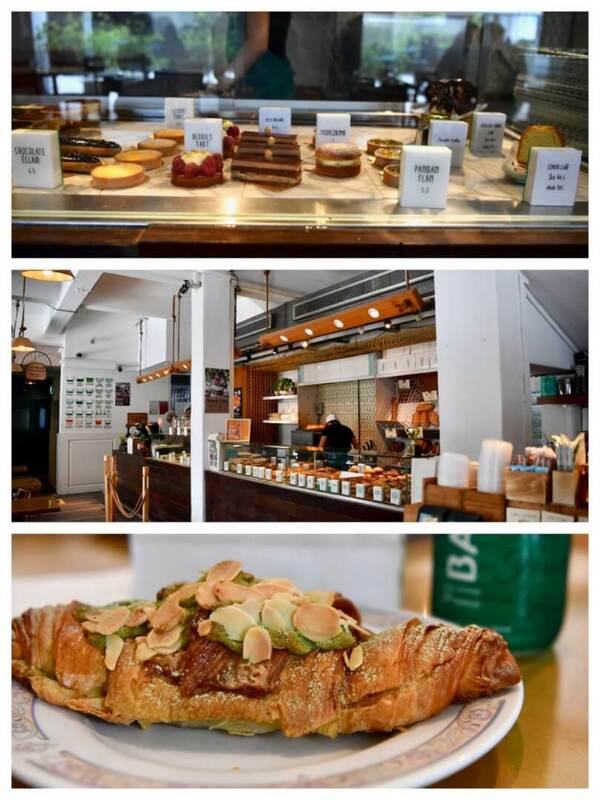 The Tiong Bahru Bakery opened in collaboration with French celebrity baker, Gontran Cherrier. 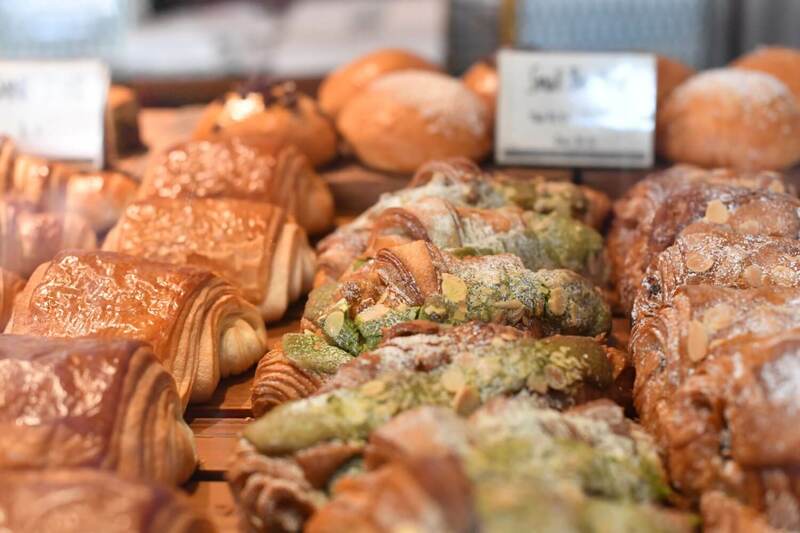 The bakery is reputed as being the best French bakery in Singapore. Famous for their perfect croissants and the Kouign Amann – a layered heavily caramelised and buttery pastry. I have made it my mission to eat a green tea almond croissant each visit to Singapore! Books Actually is much more than just a book merchant. You will find narrow isles filled with books piled high. The one place to go to for great unusual literature including art books, rare editions magazines and stationary. 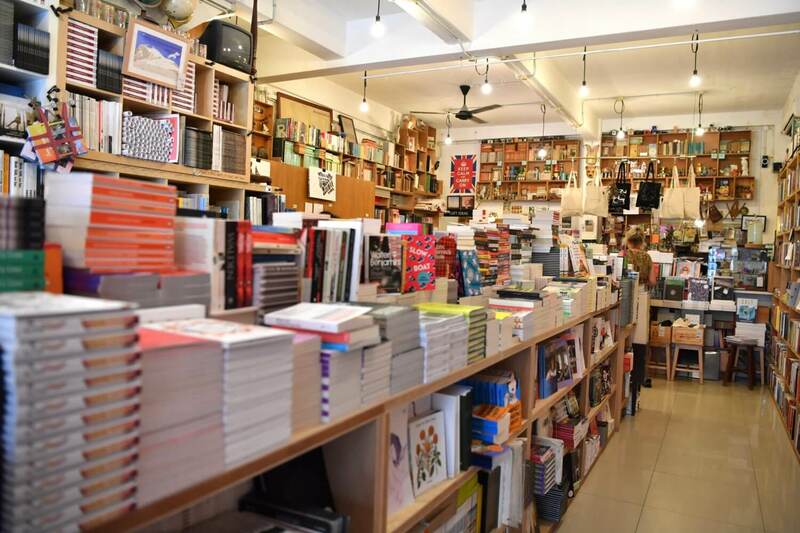 The perfect place for buying literature about Singapore. Look out for vintage Singaporean memorabilia behind the cash register. The resident cat adds to the offbeat appeal. More here. 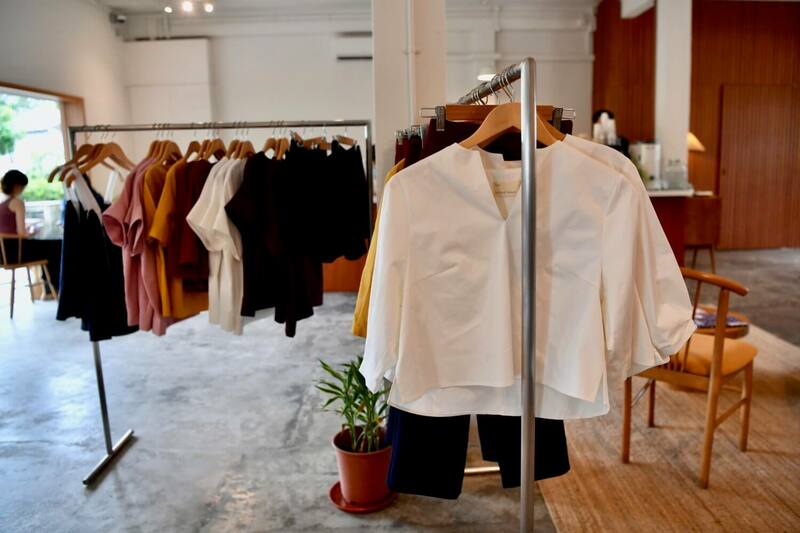 Established in 2011 Nana & Bird is a multi-label boutique curating a selection of Singaporean and international independent labels. 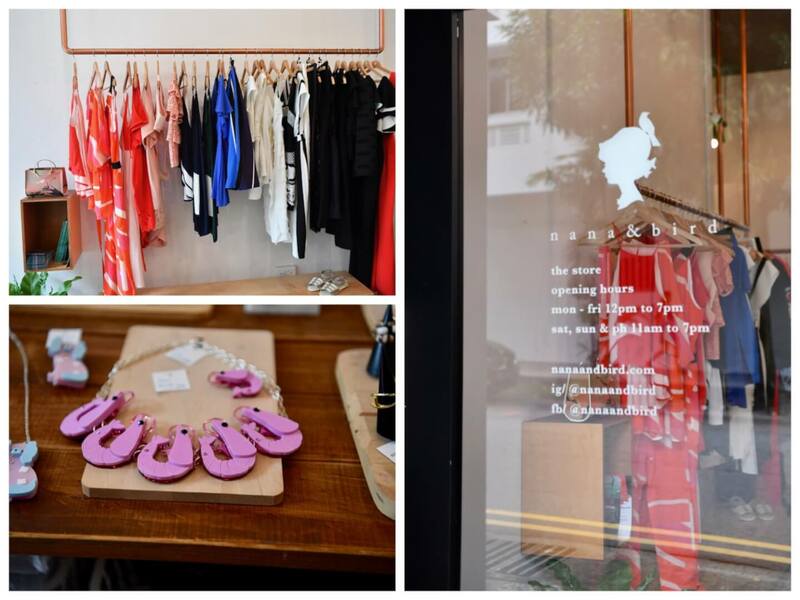 Co-founders, are best friends and shopaholics – Georgina Koh and Tan Chiew Ling. See the carefully curated collection from the best emerging designers in the world. The key philosophy is: “only selling what they would buy for themselves”. The room above is one of the personal shopping rooms at the Robinsons The Heeren down Orchard Rd Singapore. Personal shopping is available to everyone here – not matter how much or how little you wish to spend. 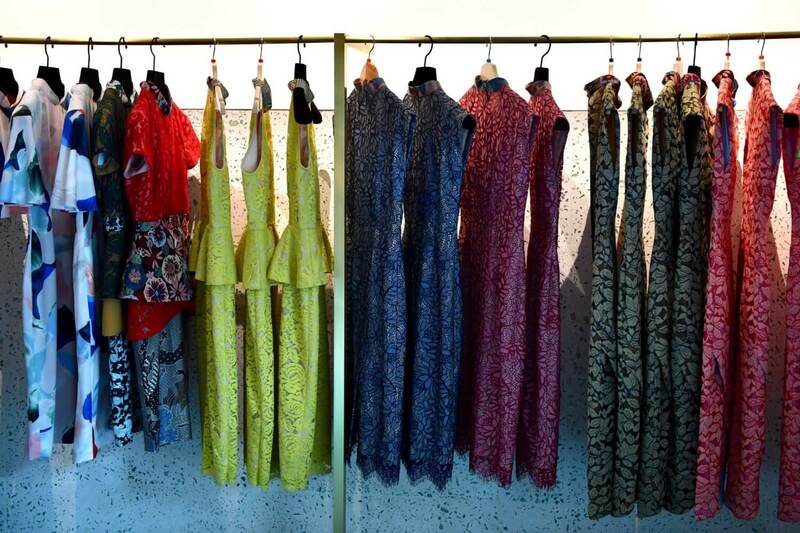 Detailed information in post “Personal Shopping for Everyone in Singapore“. 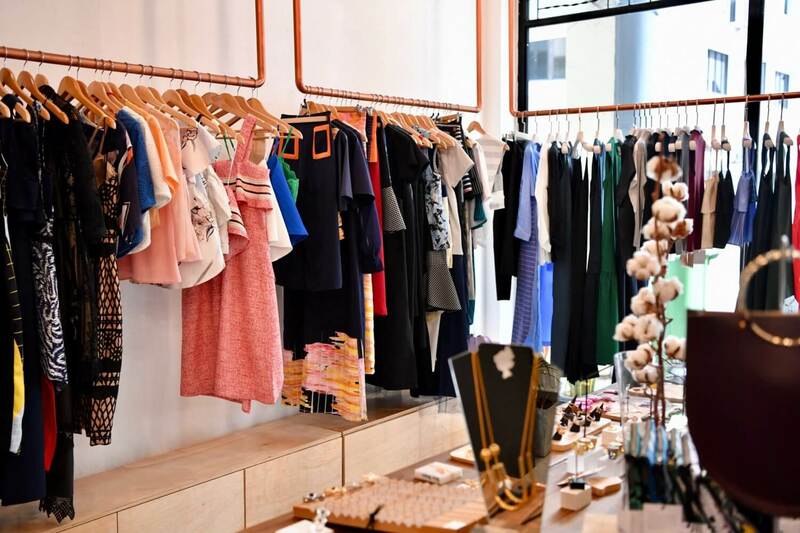 A real gem down Orchard road, discover the stores with eclectic finds from independent local offerings. The Mandarin Gallery is located just opposite Robinsons the Heeren down Orchard Road. 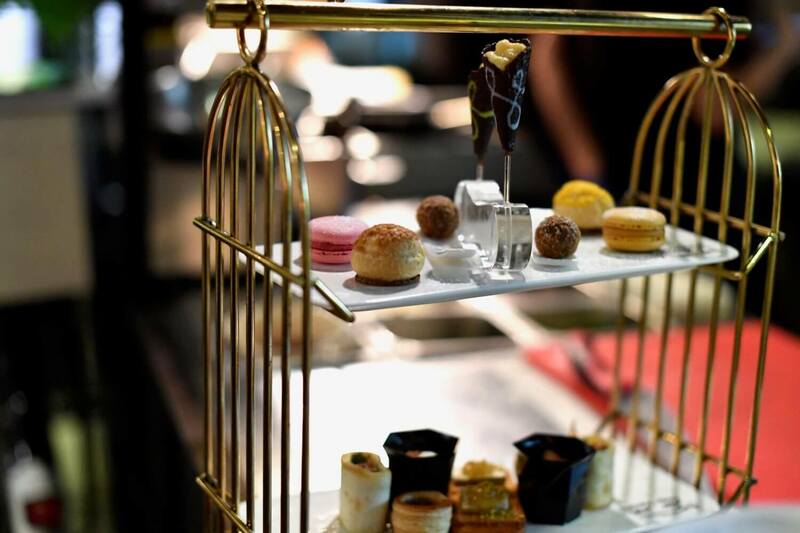 The Arteastiq Tea lounge is a real experience for any afternoon tea lovers. Try the assortment of unusual cookies and buy a jar to take home. 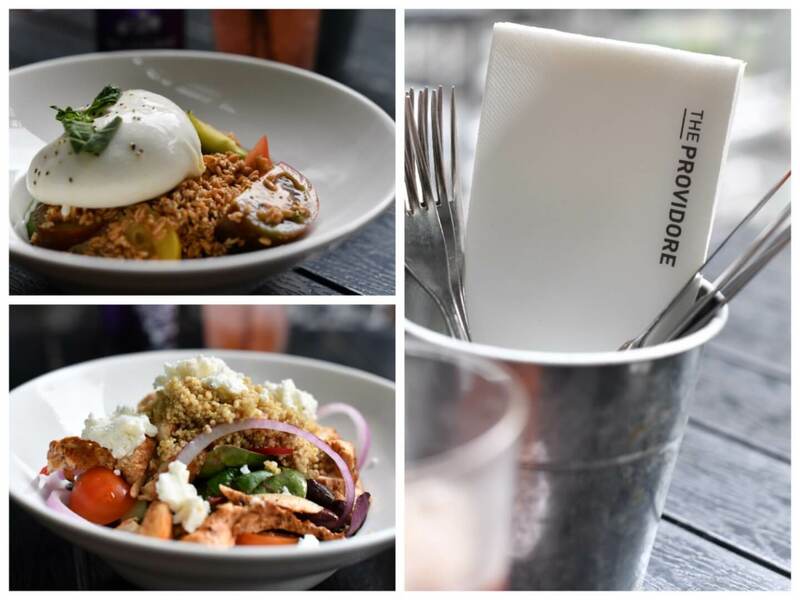 Alternatively have a light lunch at The Providore – sit outside and watch Orchard Road pass by as you eat. 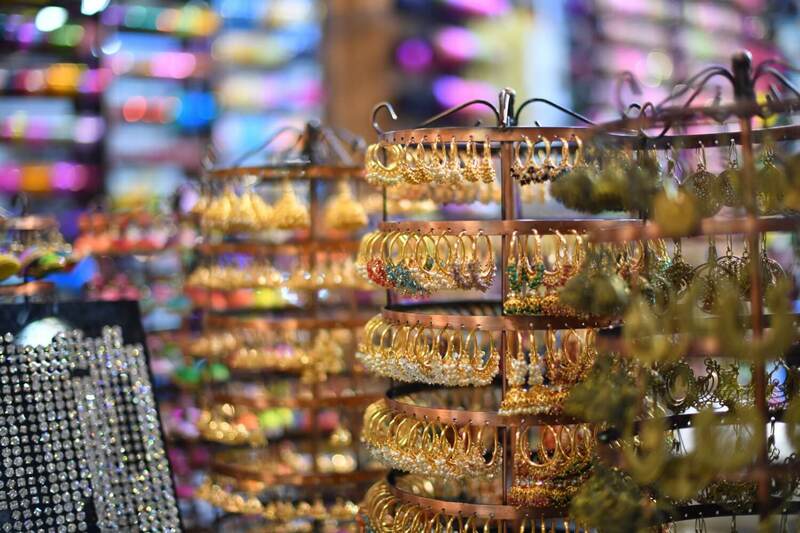 Don’t miss the fabulous boutiques and jewellery stores too. Yes, you guessed right – that’s me on the left. The MegaZip Adventure is seriously not to be missed! 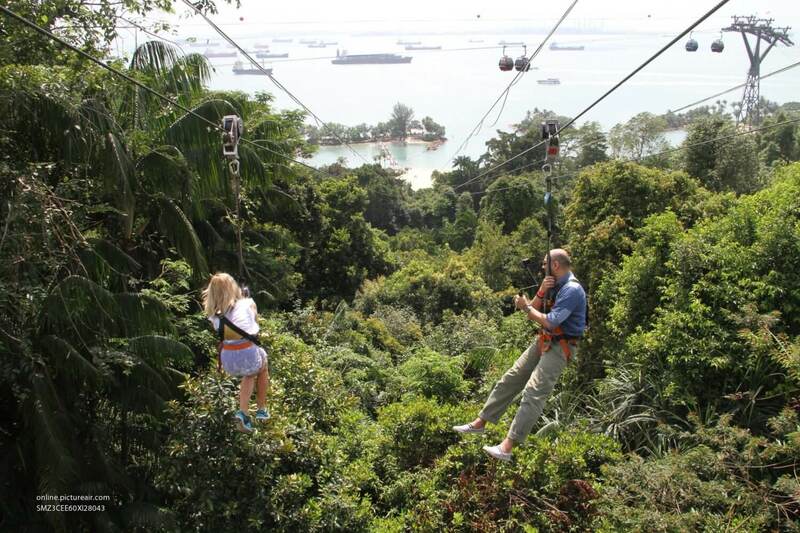 Start at 75 meters high,and zoom along for 450 meters reaching 60 kmph over jungle and the beaches of Sentosa Island. There’s also the MegaClimb, MegaJump, MegaWall and MegaBounce for those of you that really need to get your heart racing. Full details of Mega Adventures here. The perfect place to relax after the Mega Adventures. 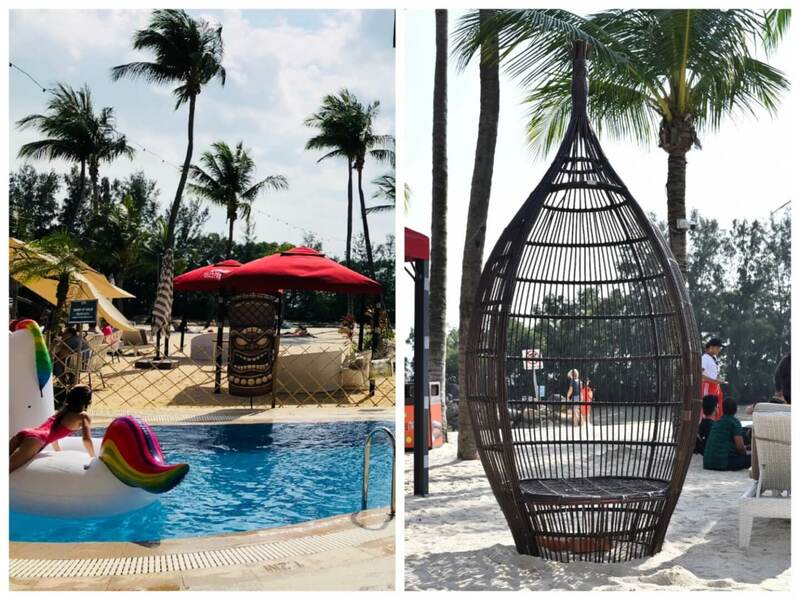 Ola Beach club is the newest beach club on Sentosa Island. Entry is free and they have the most wonderful selection of cocktails and nibbles. We fell in love with the truffle fries. Take a dip in the lovely pool. Kick back and enjoy or simply relax in one of the cabanas. There’s also a fabulous selection of water sports available for the more active. 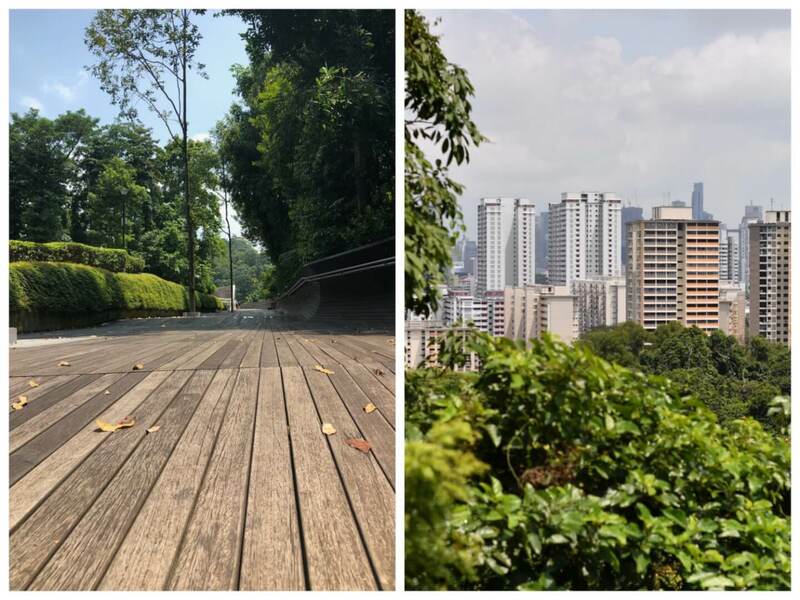 The Southern Ridges hiking trail is a great way to see Singapore. Start at the HarbourFront MRT and follow the sign posted path through lovely lush greenery. 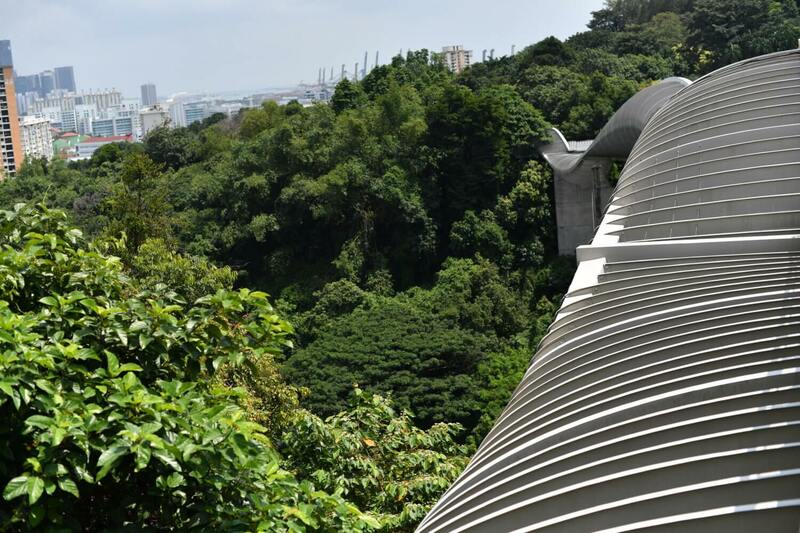 Make sure to walk through to the striking 274-metre long Henderson Wave bridge that connects Mount Faber Park to Telok Blangah Hill Park. An awesome piece of wooden architecture. Soak in the panoramic views on both sides of the bridge. Another photographers delight at night. Mustafa is open 24 hours 7 days a week with absolutely everything you could possibly want under one roof and 6 floors. One could call this mecca for shopping lovers. Warning it can get crowded. This visit I was on the hunt for an Instamax printer. It was a matter of shuffling through the crowds, totally loosing all orientation but finally finding what I was after 2 floors underground. The cutest impression for me was the amount of local men crowded around the jewellery counters buying trinkets for their loved ones. 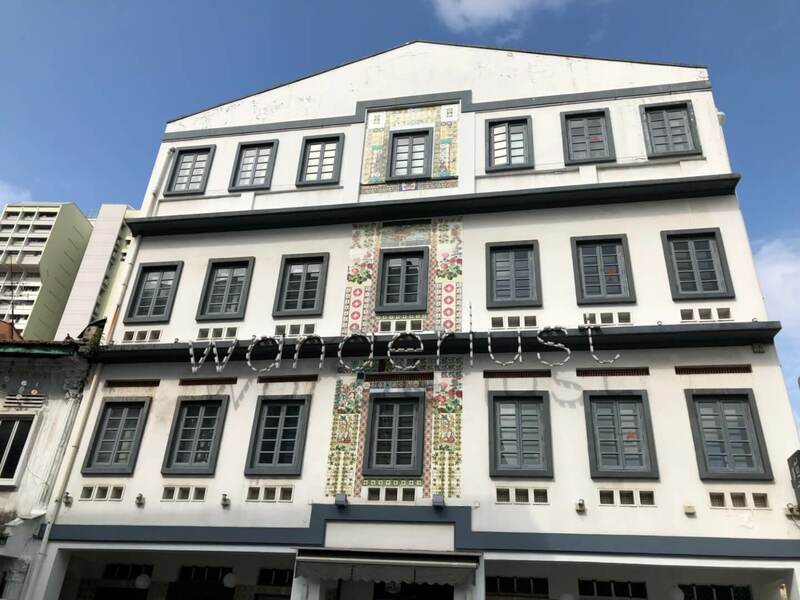 There is a huge move towards boutique hotels in Singapore today and The Wanderlust is just one of them. Each floor has a different theme to it. The 4th floor rooms are all maisonette with the sleeping area upstairs. Reachable via ladder as opposed to stairs. I fell in love with the super comfy bed. The lobby and bar area is filled with unusual items such as antique barber chairs, a bicycle with jars of nibbles and many more. 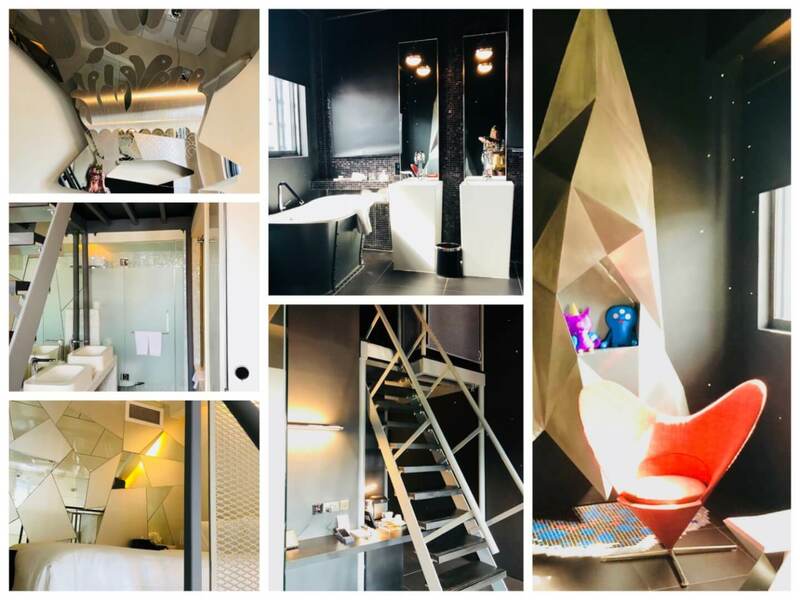 They really have done a fabulous job of designing this hotel for the adventurous traveller. Wild Rocket is run by Willin Low, a self taught chef whom I had the pleasure of meeting personally. Originally a lawyer, Willin Low threw in his career to follow his passion. 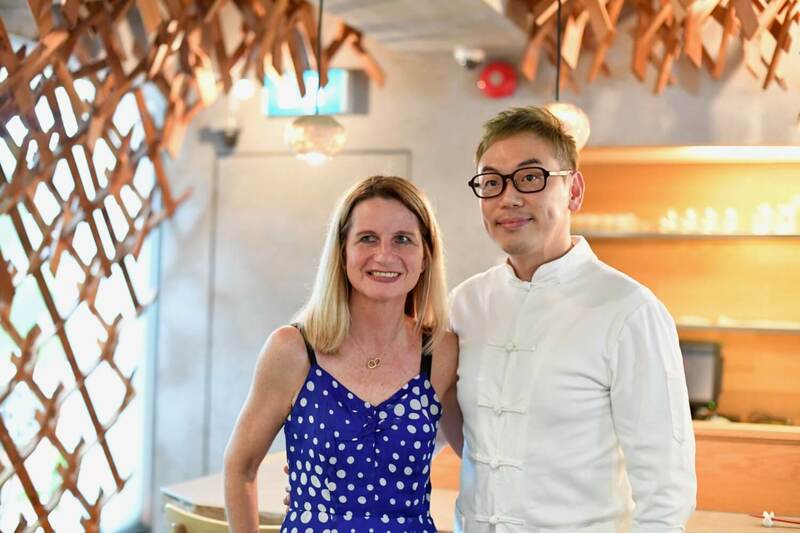 His inspiration comes from food served at Hawker centres which he then transforms into the most delicious looking gourmet dishes creating a Mod Sing kitchen (modern Singapore food). 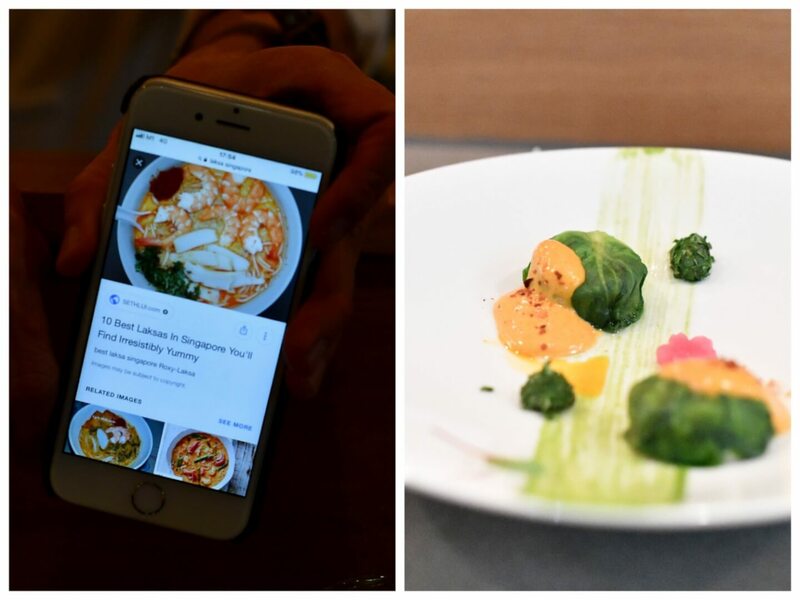 Above traditional Laksa as served in Hawker centres (left) and Willin’s version (right). This mouth watering Makan Melaka desert was simply amazing! Situated on Mount Emily the interior design alone is worth the visit. 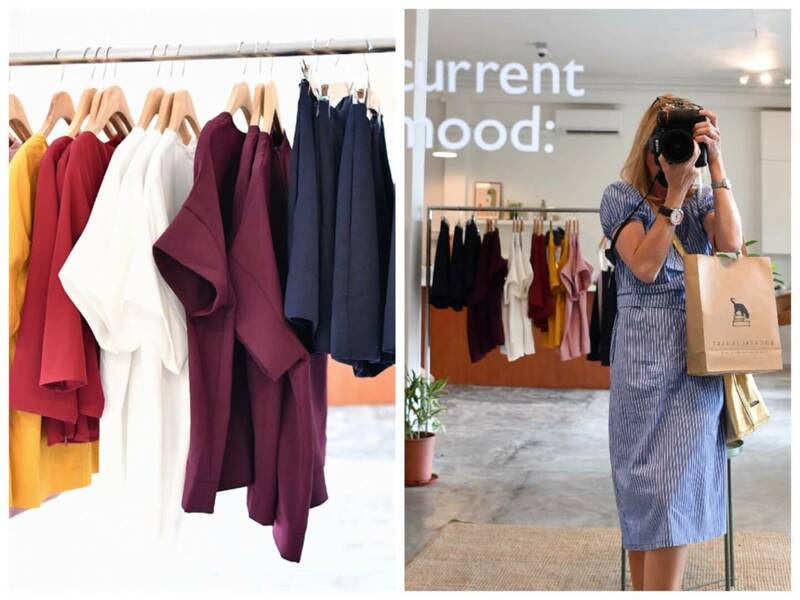 Situated around the corner from the Holland Village MRT, Our Second Nature is a local Singapore clothing brand that focuses on comfortable, everyday wear. Lovely clean lines with some interesting prints. At an affordable price making a piece the perfect souvenir to take home. Visit the Ong Schunmugam flagship store in Holland Village. Owned by designer Priscilla Schunmugam who is an Indian Chinese from Malaysia now living in Singapore. Originally a lawyer, Patricia followed her passion and started the label in 2010. Fabrics are sourced in tiny villages throughout Asia. At times the shop is open by appointment only. More details here. 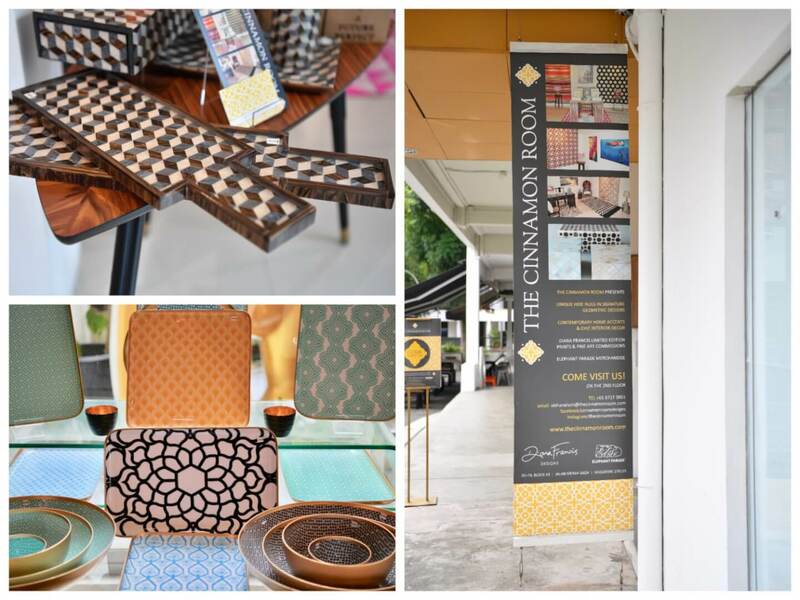 The Cinnamon Room was established by founder Visha Nelson in 2014. 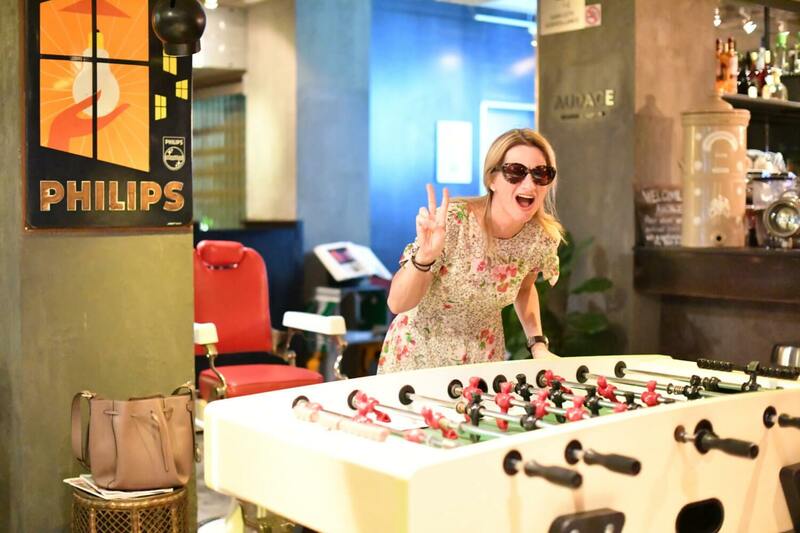 Singapore born originally a capital markets lawyer and mother of two left her corporate life to start up her design business on her return to Singapore, after several years abroad in London and Hong Kong. 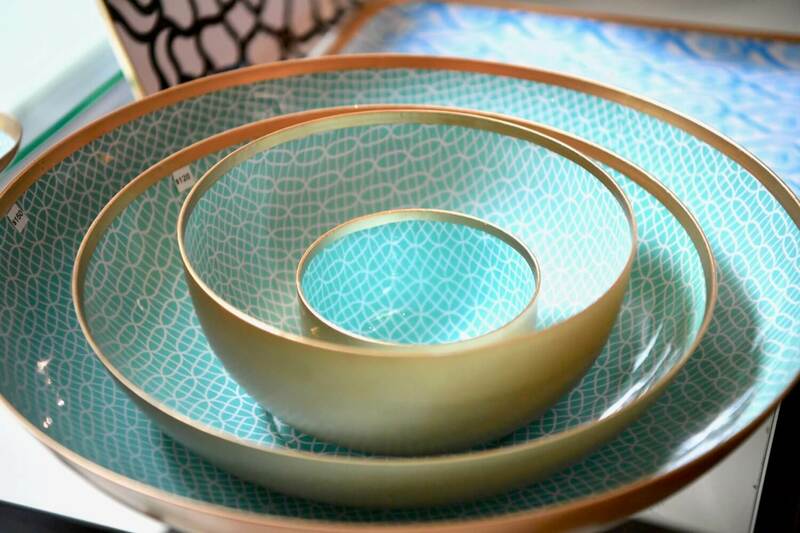 Most items are designed by Visha herself. 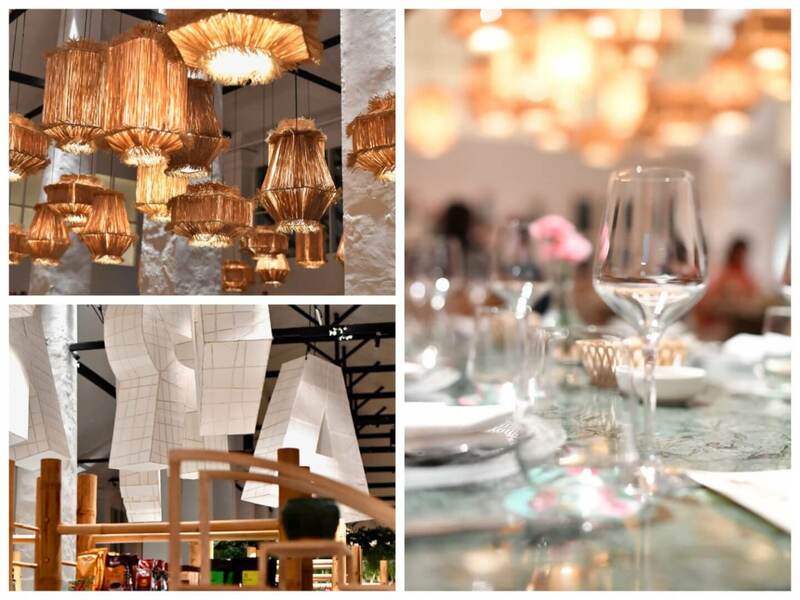 Peranakan kitchen represents the fusion of the Chinese and Malay cultures. 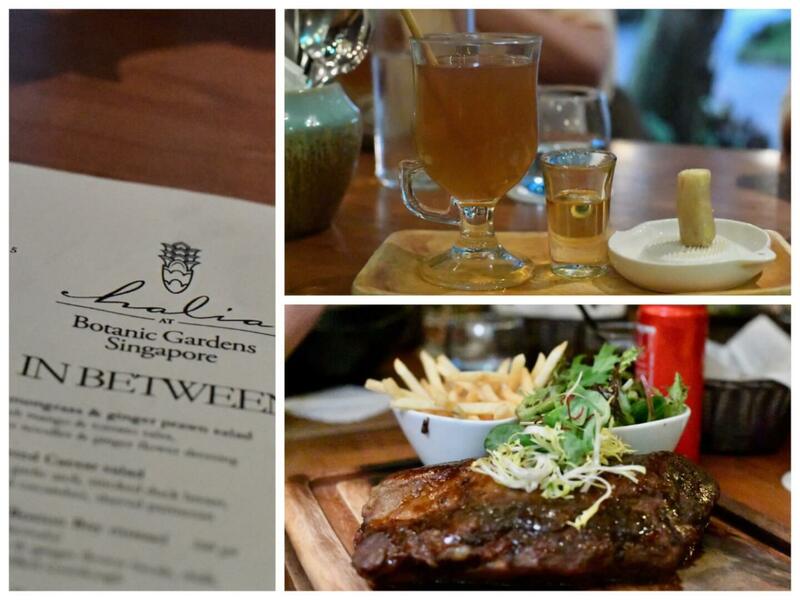 Set amidst Dempsey Hill’s lush greenery you’ll find Candlenut. 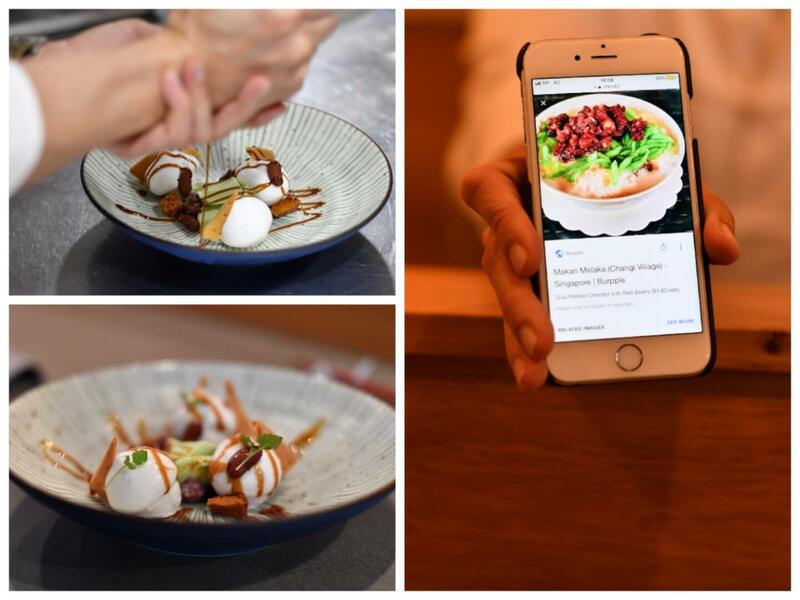 The world’s first ever Michelin-starred Peranakan restaurant operated by chef Malcom Lee. 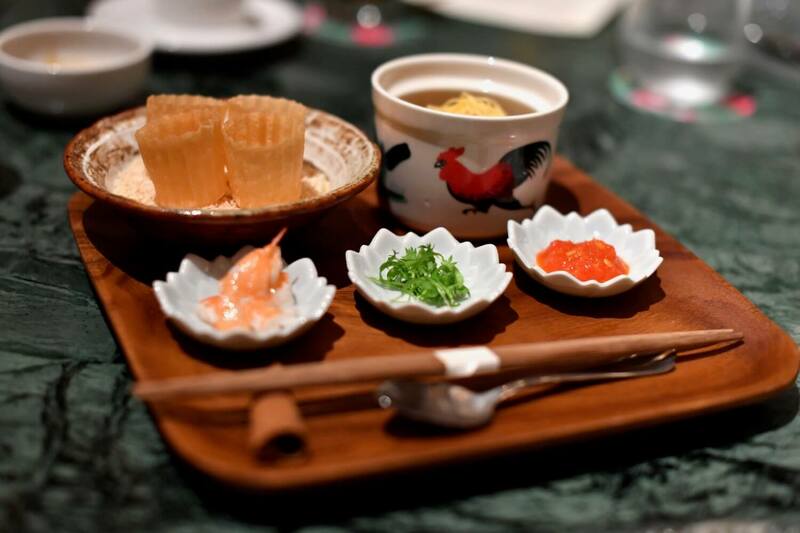 The restaurant serves up refined Peranakan cuisine. 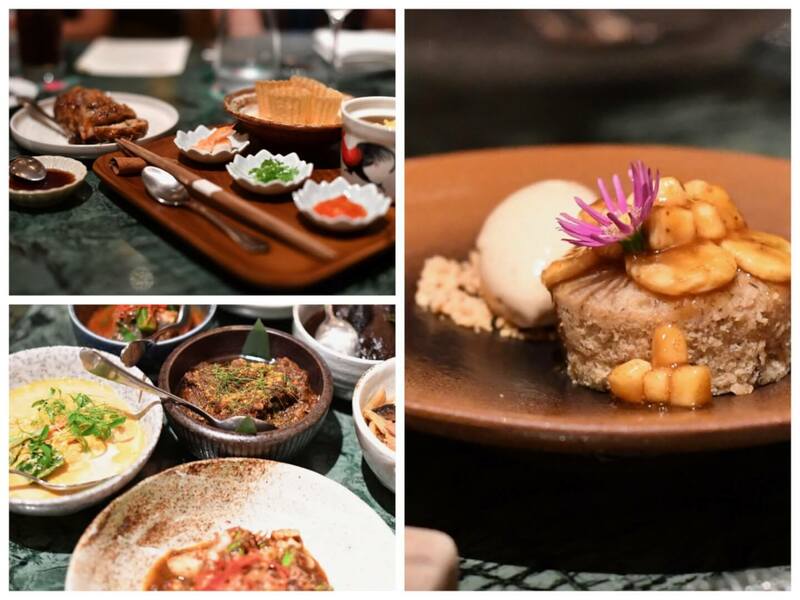 Preserving the essence and complexities of traditional food, whilst adding a modern twist that lifts rich dishes to a different level. Pictured above is a cute “do it yourself” starter where everyone fills their own little crown pastry to their hearts desire. An explosion of flavours engulfs the palette as this is eaten. 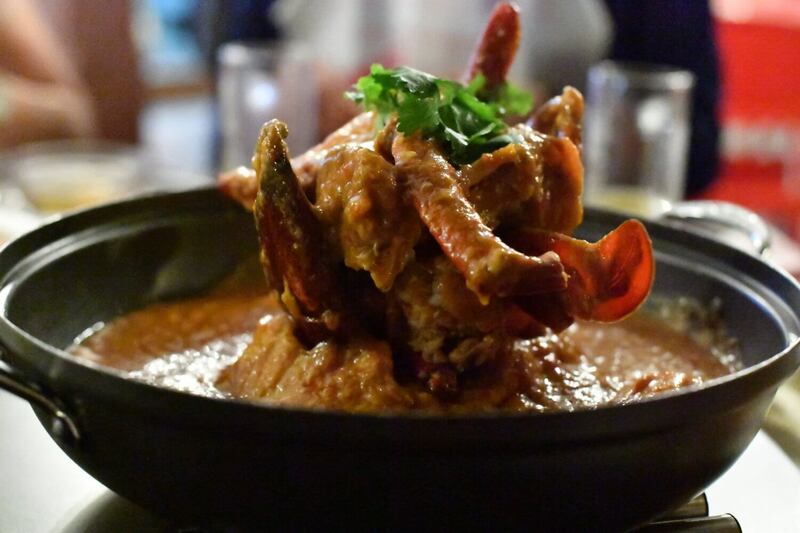 Eating chilli crab is basically a must for anyone visiting Singapore. Established in 1946, Long Beach Seafood is one of the oldest and most popular seafood restaurants in Singapore. With intensive range of fresh and delectable seafood Long Beach Seafood is the perfect place to experience chilli crab. Note you can ask for the crab to be pre-cut making it somewhat easier to eat! The aquariums with live crabs certainly leave an impression. For those who don’t like seafood try the amazing chicken dish. 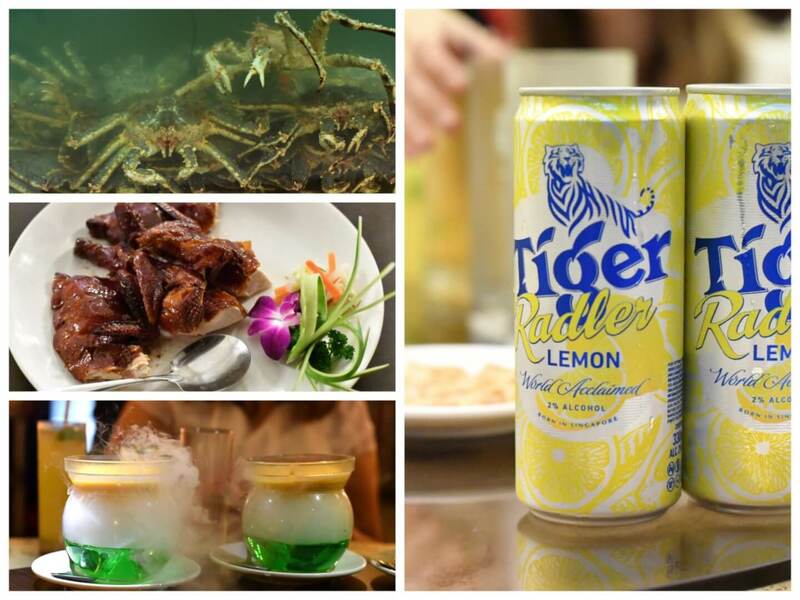 Be sure to drink Tiger beer with your meal and treat yourself to mango panna-cotta served over dry ice for desert! 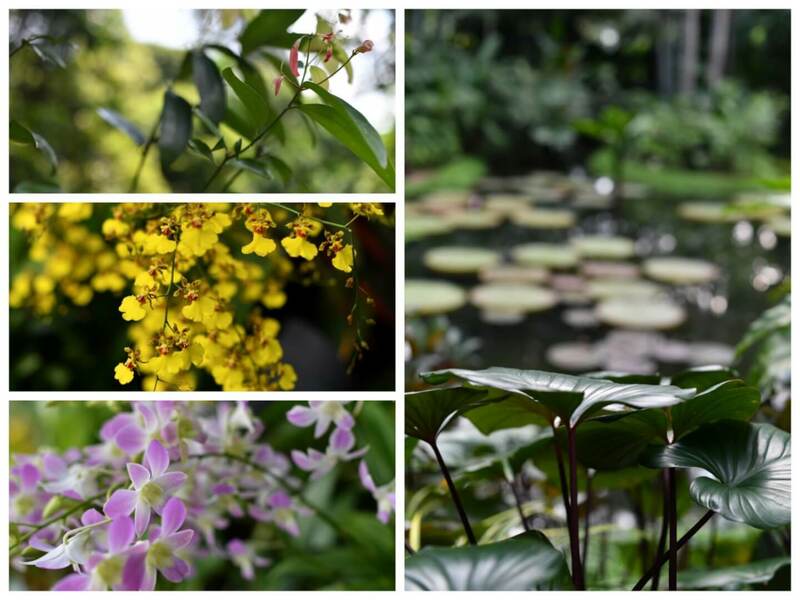 The Singapore Botanic Gardens is a 158-year-old tropical garden. 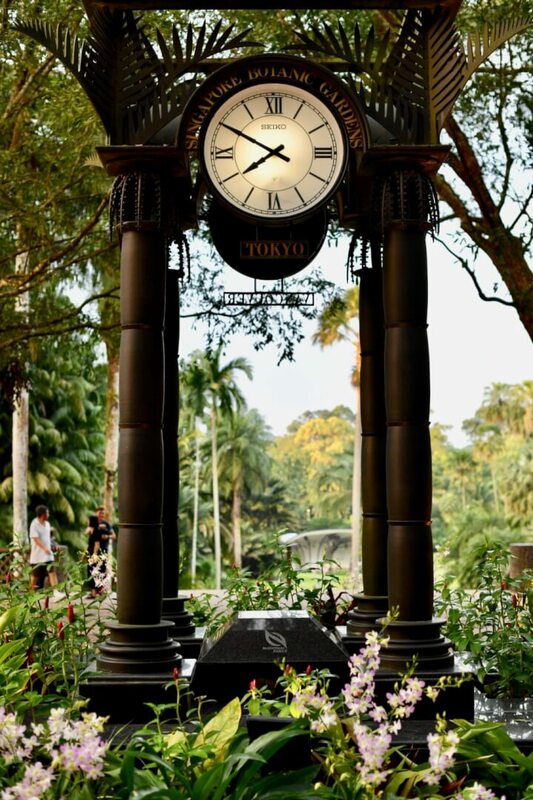 It is the only tropical garden, to be honoured as a UNESCO World Heritage Site. Be sure to visit the one-hectare Ginger Garden section with over 250 species of gingers. Did you know that the banana tree is actually a form of ginger? 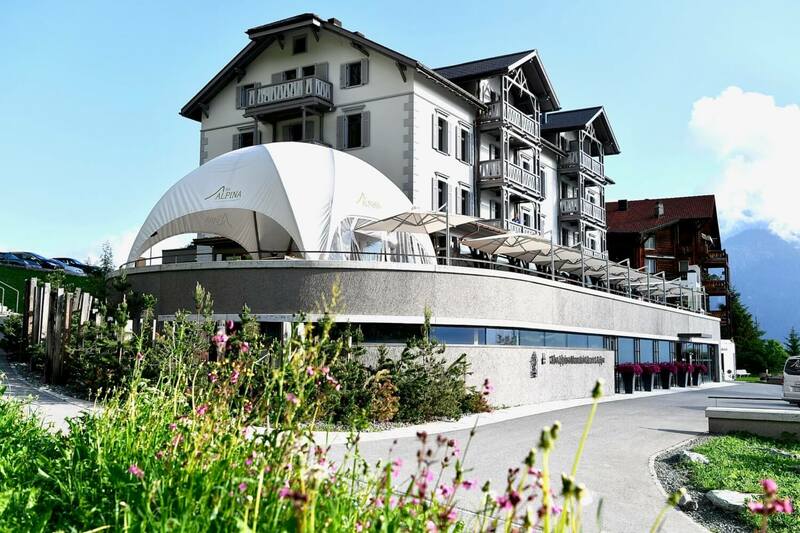 The restaurant Halia is the perfect place to stop for a meal after visiting the park. 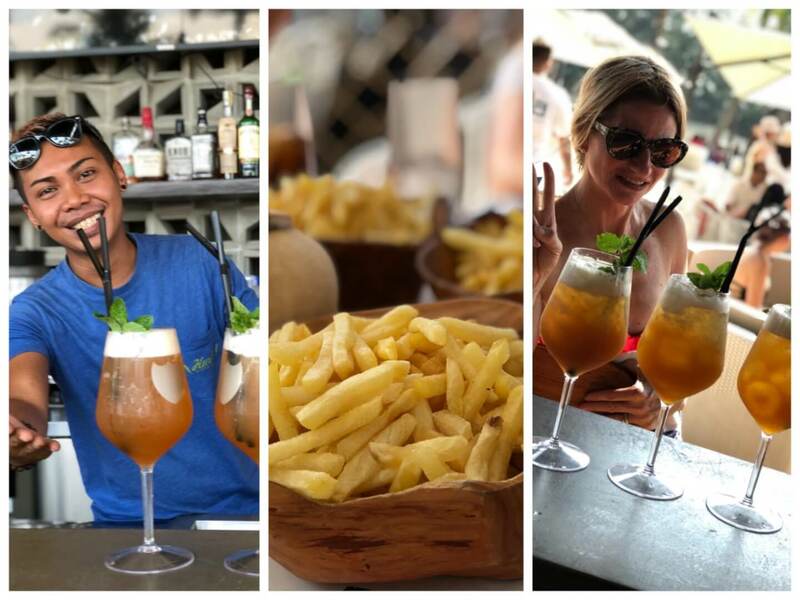 Make sure to try their special ginger drinks. 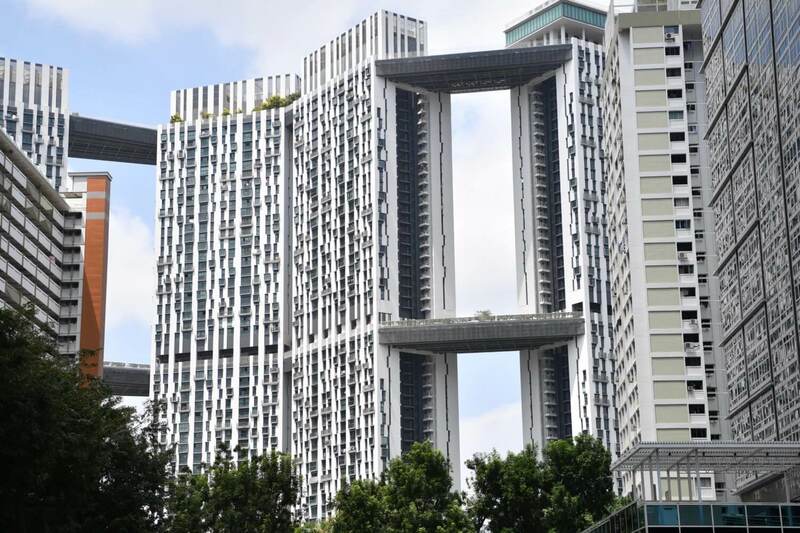 The Pinacle@Duxton is an award-winning 50-storey Housing and Development Board (HDB) residential development in Singapore’s city centre. Made up of 7 connected towers it is the world’s tallest public residential building. 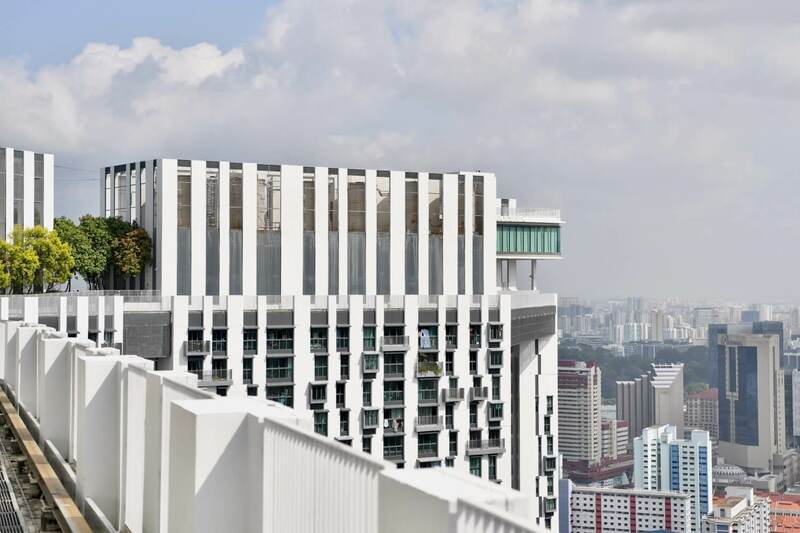 SGD 6 will get you access to the 50th floor from where you have the best ever skyline views over Singapore. Be sure to go to the warden in tower G to register and pay the fee. So much to see and do in Singapore and the 35 cool items selection is a result of my 4 day visit in collaboration with the Singapore Tourist Board. Hope you enjoyed part 2. See part 1 here! The comment section is at the end of the post, I love reading all your comments! Open your heart with travel discovery! Yes, this sounds like a great idea. I am sure you would love it. Great post, Yvonne. I can’t believe you did so much stuff in just four days! Thanks Raewyn, I can’t believe it either looking back – such an awesome time! Thanks Beatrice – really kind of you! This post has given me such amazing ideas !! So glad to hear Sara! Have a great weekend and do visit Singapore! Thanks Susan. 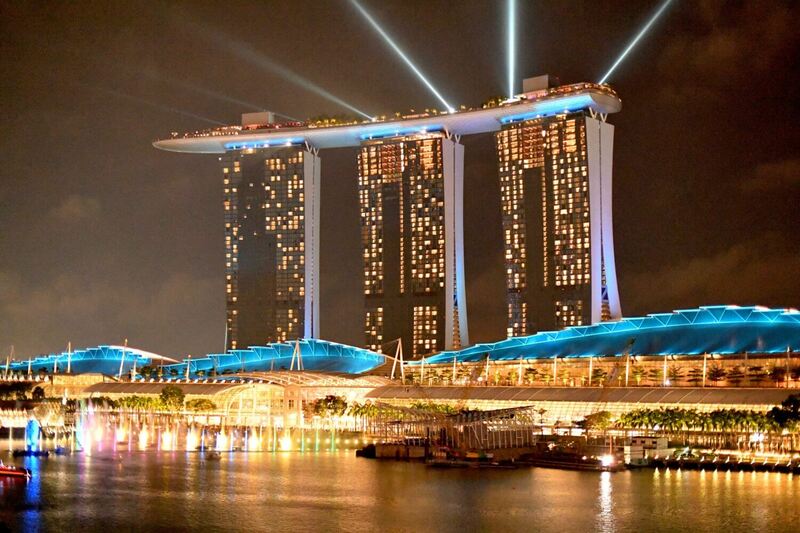 Singapore certainly is a magical place to visit believe me! Personal Shopping for Everyone in Singapore!